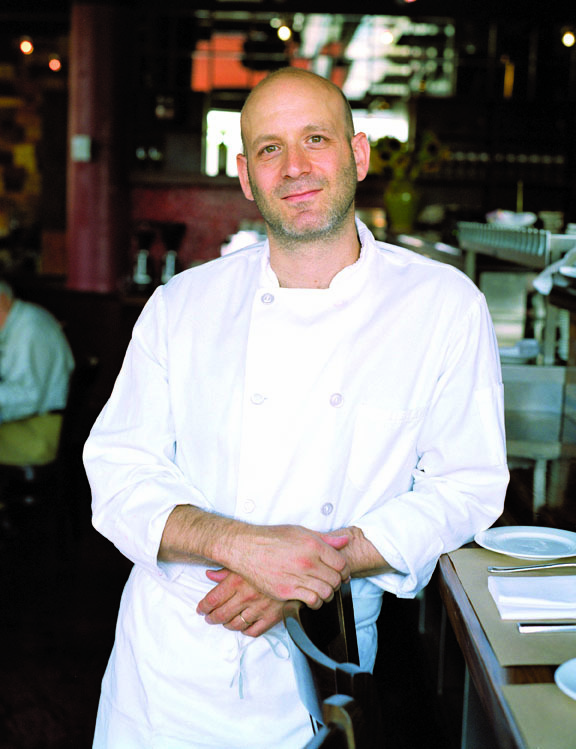 Marc Vetri signs copies of Mastering Pasta: The Art and Practice of Handmade Pasta, Gnocchi, and Risotto at Omnivore Books on Food on Monday, April 13 from 6:30-7:30 p.m. Free. Reprinted with permission from Mastering Pasta by Marc Vetri, copyright © 2015. Published by Ten Speed Press, an imprint of Penguin Random House LLC. All photography by Ed Anderson, copyright © 2015. 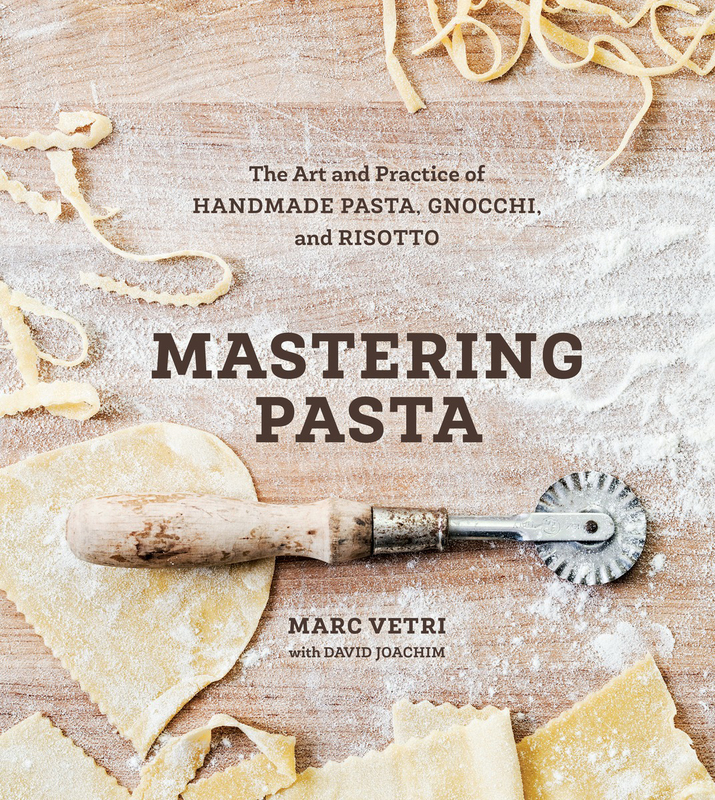 You can buy an autographed copy of Mastering Pasta at Omnivore. We urge you to support your local bookstore. They can order it for you if not in stock. Otherwise you can purchase through our affiliate links with Amazon and IndieBound. Pasta Swap: Any thick noodle works well here. Try pappardelle or corzetti. 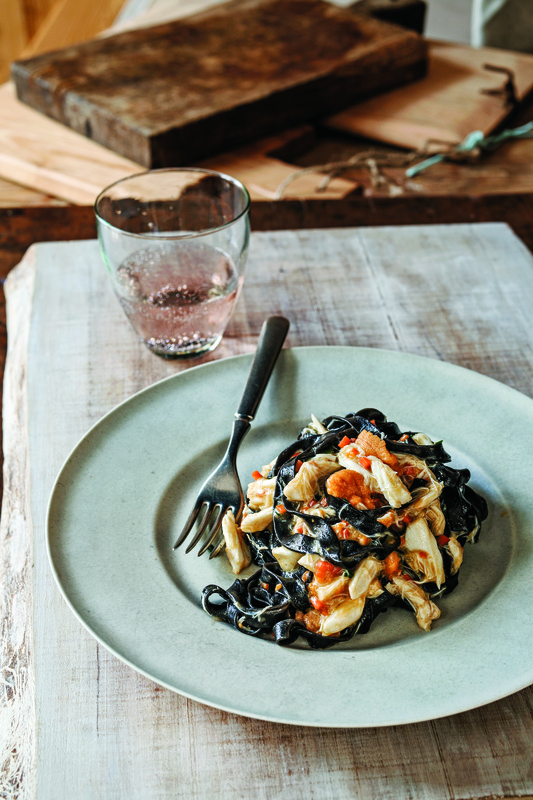 Pasta Swap: Spaghetti or bucatini would be good, but keep it flavored with squid ink. 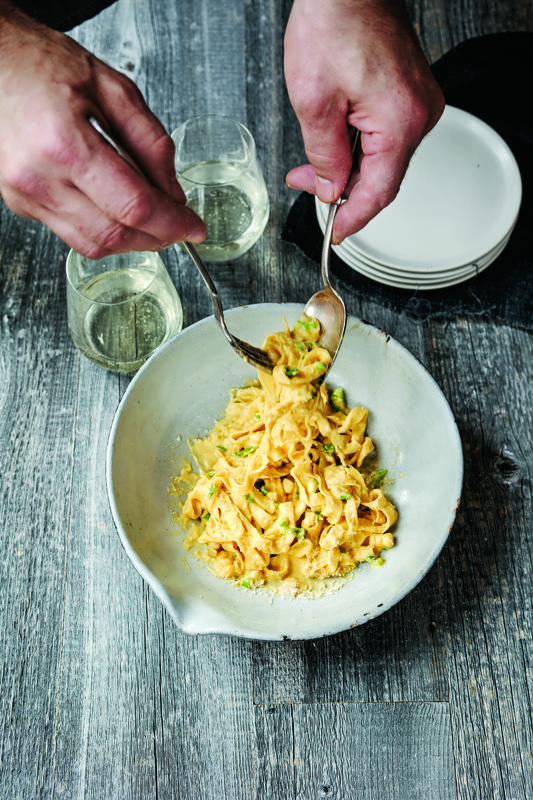 The black pasta and orange sauce help make this dish what it is. Using a spider strainer or slotted spoon, drain the pasta by transferring it to the pan. Reserve the pasta water. Add the uni, crabmeat, chives, lemon juice, and ½ cup (118 ml) of the pasta water to the pan and toss and stir until the sauce reduces slightly, gets creamy, and coats the pasta, 1 to 2 minutes. Keep the pasta moving until pasta and sauce become one thing in the pan. Taste it, adding salt and pepper until it tastes good to you. 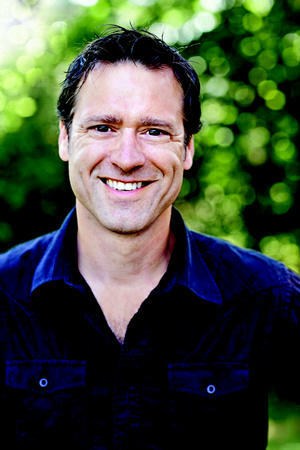 David Joachim has authored, edited, or collaborated on more than thirty-five cookbooks, including the IACP award-winning The Food Substitutions Bible and the New York Times bestsellers A Man, a Can, a Grill: 50 No-Sweat Meals You Can Fire Up Fast and Mastering the Grill, co-authored with Andrew Schloss. He lives in Allentown, Pennsylvania. Visit David at: www.davejoachim.com. This entry was posted in Eat and tagged cookbook, crab, Eat, pasta, recipe, seafood, squid. Bookmark the permalink.